I've read a bunch of books this year. As of writing this, I'm 30 books ahead of target for my Goodreads challenge. I've read some incredible books so far, but what I've really noticed is that only three books have actually made me cry. Like a significant amount of tears. And I find that really disappointing, I love it when I become so invested in a story or in the relationships between characters that I cry. I want more of that. I'm especially looking for recent books, books published this year or last. I've cried with every book by Cat Clarke that I've read. With Entangled and Torn, they were books that built-up to tears but with Undone everything felt like it hit me all at once. 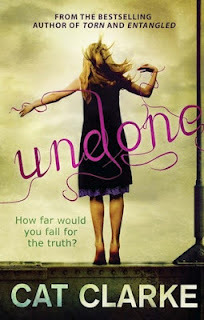 And whatever it is in books that makes me cry just wasn't stopping with Undone. It was like my eyes just transformed into taps throughout this entire story. And part of that came from the heart-wrenching monthly letters that Jem receives from her best friend, Kai, who committed suicide. Already that's a set-up for tears. But what gets to me most about Undone is Jem and the way in which she chooses to act out her feelings over Kai, his suicide and the people that she feels are responsible for his death. My heart absolutely ached for her, for how much pain she's in and for the unfairness of everything that's happened. I wanted so many things for Jem and that hope turned a bit into desperation as Jem teeters on the edge of the choices she's made. Sob city. After reading Undone by Cat Clarke at the beginning of the year I really didn't think there'd be another book that could come along and rip my heart out in the same way. Oh boy, was I wrong. Because that is exactly what happened with Clockwork Princess by Cassandra Clare. She really put heart through the wringer with this one. 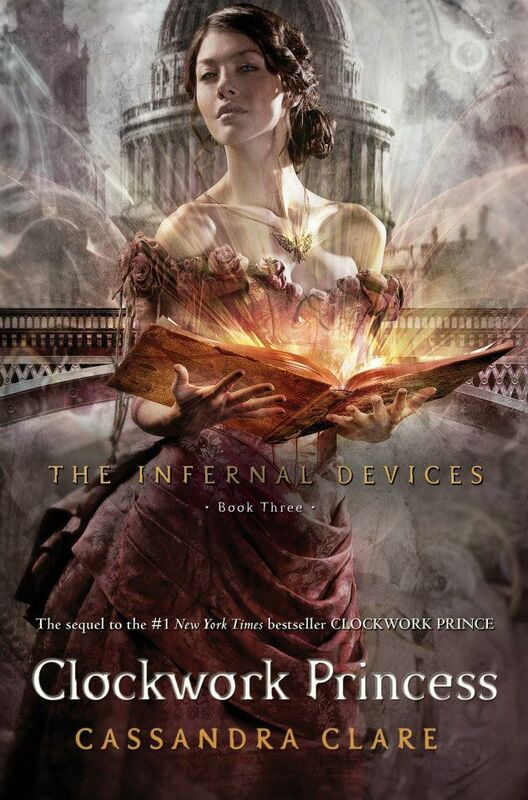 I find it incredible how much I love the characters in The Infernal Devices series and how much they've come to mean to me. The relationship between Tessa and Will and Jem is so incredible. I love the interactions between Tessa and both boys and I was really surprised that I love when it's just Will and Jem together. The whole unit works together so perfectly. Even now, just thinking about the three of them and the strength and depth of their love for each other brings tears to my eyes. I loved this book so much. I loved the difficult decisions and the sacrifice and how each of the three characters' love for each other remained constant. Beautiful. 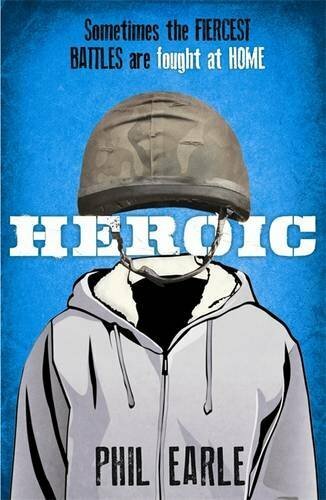 And then there's Heroic by Phil Earle. I've loved each of the books I've read by Phil Earle so much. It is Being Billy that I cried the most for but there were still plenty of tears to go around for Saving Daisy and this, his latest, Heroic. I think the thing that gets me the most about Phil Earle's books are the characters that populate his stories. If I were to write a list of my favourite secondary characters I have no doubt that Ronnie from Being Billy and Adebayo from Saving Daisy would make the cut. Because I love when there are people like them who care that strongly and that deeply especially when they don't have to. It speaks to something that I want for myself, I guess. And with Heroic those strong, important relationships are still there in different ways. 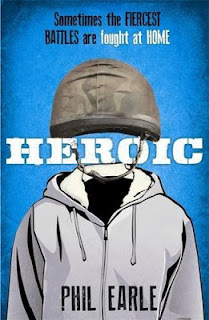 In Heroic, the thing that got to me the most was that complicated relationship between the two brothers and I did shed the most tears over the two of them. But there was also this gang of friends around both Jamm and Sonny who were amazing. One of the bits in the book that got to me was when Sonny's mom takes him up to the top of their building first thing in the morning and tells him that there's more to life than just the estate and it killed me. Have any books made you cry recently? Please share your recommendations! ..but you're right. Clockwork Princess was SUCH a sobfest. I read the Chaos Walking trilogy and A Monster Calls by Patrick Ness last month and ALL of the made me weep! Ooh, yes. I definitely wept like a baby reading those four books! I cry far too easily in books, someone dies, someone leaves, an animal dies etc, and I'm a wreck. 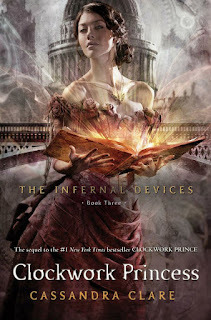 Some recent books that made me cry are Charade by Nyrae Dawn, Bitter Blood by Rachel Caine, With All My Soul by Rachel Vincent, Clockwork Princess by Cassandra Clare, and Sever by Lauren DeStefano. See, I'm like that too, Michelle. Nobody has to die or leave either, some touching moment between two characters will have me bawling. I just haven't read many books like that this year it would seem. I don't cry in books. I just don't, I'd find something sad or feel sad about something in a book or movie but I rarely start crying. BUT Undone, I think, is the only book that actually had me sobbing to myself when I was reading (I was on a train when I finished it which REALLY isn't the best place to sob). So you're not alone in crying at that book. I'm not even sure why I cried, I think it was just the ending was so different from what I was predicting would happen. And then THAT last line, oh it's just such an amazing and emotional book. Undone is just one of those books, isn't it? You can't help but cry at it. That last line is definitely a killer! Oh, how I cried reading Undone and Clockwork Princess! To me, a book making me cry is the ultimate accolade. It's a true testament to the author that I care about the characters and story lines so intensely. Yes, I couldn't agree more! The books that have made me cry are the BEST.